Luna's a bit of an odd duck, which plenty of her classmates are quick to point out. But beneath the Spectrespecs is a brilliant witch who just tends to see things a little differently—and we're not just talking about her unconventional views on nargles and wrackspurts. Though her head often seems to be in the clouds, Luna gets her unique talents and perspective from her love of friends and family, as well as her unusual affinity for magical creatures. Those who can see past her 'loony' appearance know that she's one of the most wonderful people in the whole wizarding world! Since she's too busy searching for magical secrets hidden in plain sight to worry about social norms or silly rivalries, Luna's made plenty of friends outside Ravenclaw. Like Harry Potter! And like Harry, Luna seems to be one of those rare people whose personality is too big to fit neatly into any of the Hogwarts houses. That's why we offer a special set of robes for fans of this well-rounded and other-worldly young lady! To the untrained eye, they may look like ordinary student robes. But with your imagination, they'll become the perfect outfit for dueling practice during secret Dumbledore's Army meetings, or to help you introduce yourself to some of the more mysterious inhabitants of the school grounds. They'll even make you look great on the back of a Thestral, especially if you're wearing those earrings that look like Dirigible plums! In addition to this purchase, I also ordered the Hermione Deluxe robe. The Luna Lovegood robe did not come in a Deluxe option. I was very disappointed when I opened this robe and compared it to the Hermione Deluxe Robe. 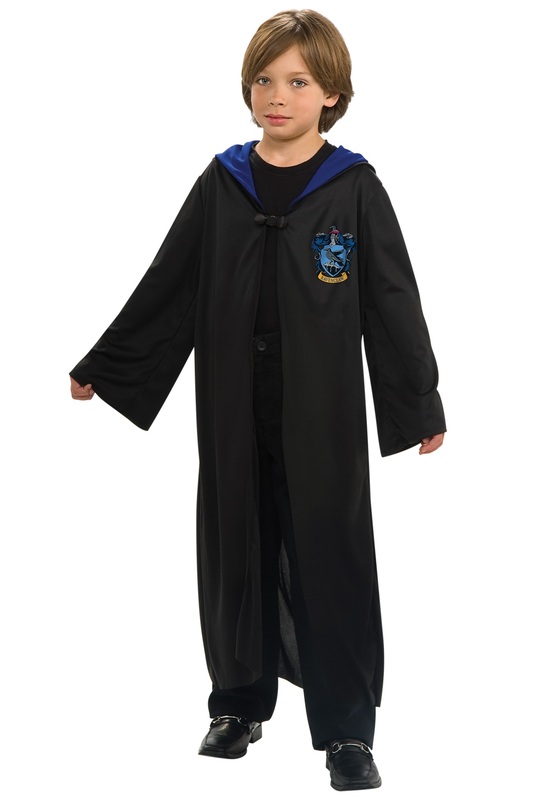 This robe is extremely thin and flimsy with a smeared iron on Ravenclaw emblem. While the Hermione Deluxe Robe was made of sturdy fleece like material with an embroidered Gryffindor emblem. Very disappointed that this costume was not available in a Deluxe option. Missing the correct size description, when You pick the size, You should have the info for what age range it actually fits.